The TTABlog®: Recommended Reading: Jeanne C. Fromer, "The Unregulated Certification Mark(et)"
Recommended Reading: Jeanne C. Fromer, "The Unregulated Certification Mark(et)"
The recent TTAB decision regarding the TEQUILA certification mark [TTABlogged here] may have whet (or wet) your appetite for a more extensive discussion of certification marks. 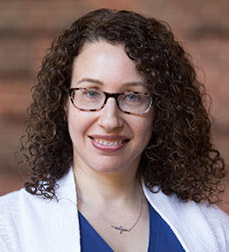 Professor Jeanne C. Fromer of New York University School of Law will slake your thirst with her recent article entitled "The Unregulated Certification Mark(et)," 69 STAN.L.REV.121 (2017) [pdf here]. Abstract: Certification mark law—a branch of trademark law—itself enables consequences that undermine the law’s own goals through inadequate regulation or oversight. Because the law allows certification standards to be kept vague, high-level, and underdeveloped, a certifier can choose to exclude certain businesses inconsistently or arbitrarily, even when those businesses’ goods or services would seem to qualify for the certification mark (particularly to consumers). Moreover, even when a certification standard is clear and complete, certifiers can wield their marks anticompetitively. They can do so through redefinition—something certification mark law currently allows without oversight—to ensure that certain businesses’ goods or services will not qualify for the mark. Both of these forms of certification mark manipulation undermine the goals of certification marks: to protect consumers by providing them with succinct information on goods’ or services’ characteristics and to promote competition by ensuring that any businesses’ goods or services sharing certain characteristics salient to consumers qualify for a mark certifying those characteristics. The law should be restructured to curb this conduct. I advocate for robust procedural regulation of certification standardmaking and decisionmaking that would detect and punish poor certification behavior. Moreover, for anticompetitive behavior that nonetheless slips through the regulatory cracks, I suggest that attentive antitrust scrutiny be arrayed to catch it.